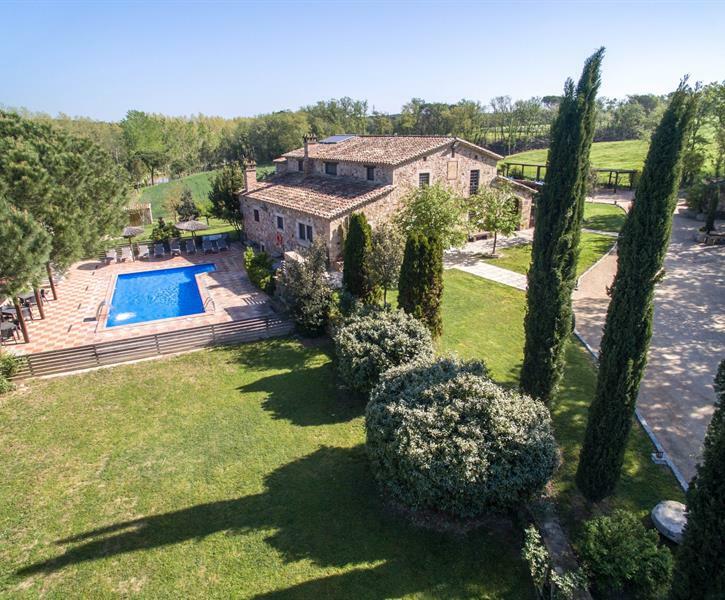 Luxury large villa with 8 Bedrooms air-con mansion - 9 bathrooms - large pool ( 6x12m) Games room - BBQ & WiFi- Near Barcelona and 15min to Costa Brava beaches. We have 24 hours full general and technical service assistance during all guests stay. The country house is provided with toys, amenities, and books for kids and 2 Racing simulators machines (on request and with additional cost) Tennis and paddle courts at your disposal in nearby facilities with special prices for our guests. Relaxation services ( sauna, yacuzzi,...) in a nearby Centre with special prices for our guests. Maid service on guests' requests for shopping, cooking or cleaning.